In a word: unmissable. 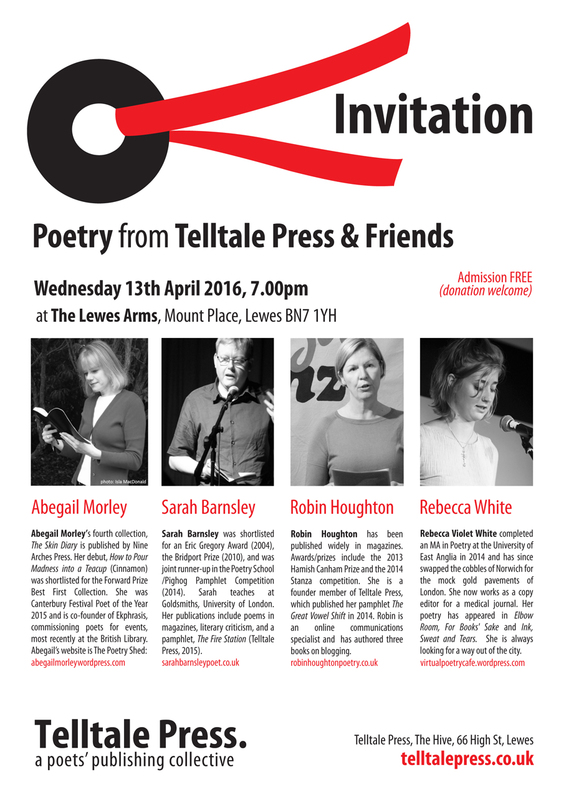 We’ve managed to assemble another exciting line-up for our series of Telltale Press & Friends readings in Lewes. Judy Brown’s brilliant new book Crowd Sensations is a Poetry Book Society recommendation. Jess Mookherjee’s spanking new Telltale pamphlet The Swell is already causing a sensation. 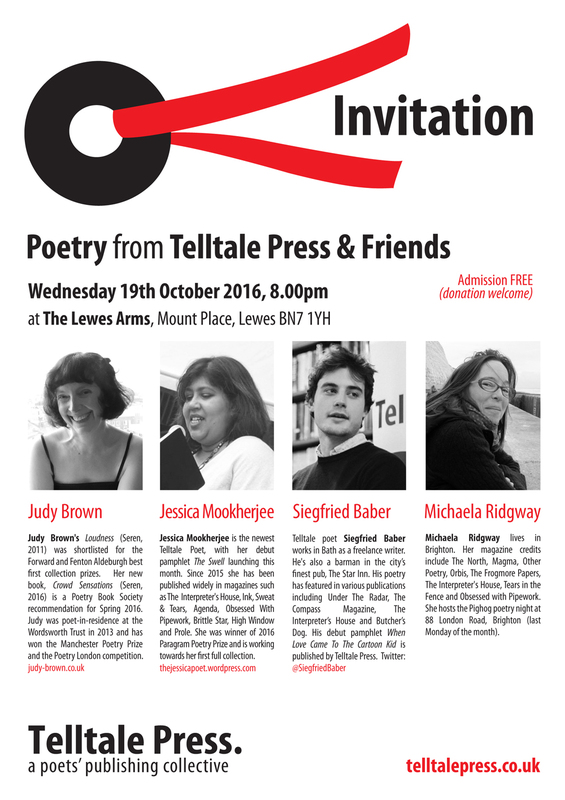 Michaela Ridgway needs little introduction in Sussex, beinga leading light in Brighton’s poetry firmament as well as hosting the Pighog evenings. Telltale’s Siegfried Baber (When Love Came To The Cartoon Kid) is, of course, one of the most promising poets under 30 in the country.